Just last week, an armed Tennessee woman drove her car into a security barrier near the west entrance of the building. A man committed suicide outside the White House on Saturday, sparking panic and sending the parts of the nation’s capital into lockdown. The Secret Service first said it was responding to reports of a self-inflicted shooting along the White House’s north fence around noon. The sound of gunfire echoed across the grounds and reporters said they were told to stay inside the White House. President Trump was in Florida at the time. The White House said it was aware of the situation and that Trump had been briefed. 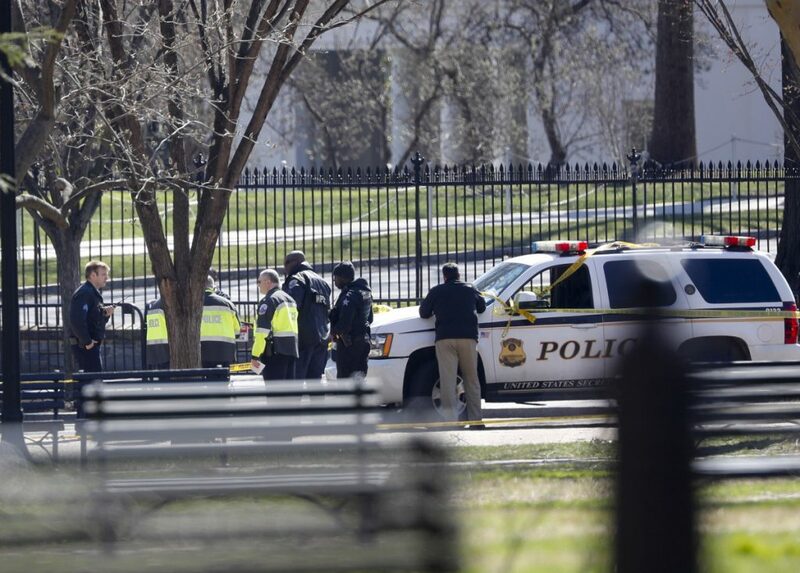 Streets surrounding the White House were closed and tourists were kept at bay as police cordoned off a large part of Pennsylvania Avenue across from Lafayette Square. The incident came a week after an armed Tennessee woman slammed her car into a security barrier near the western entrance of the White House. Jessica Ford, of La Vergne, Tenn., was arrested after she crashed her van into a barrier at the corner of E and 17th streets, the Secret Service said. Ford, who tried to scale the White House fence last year, was carrying a pistol without a license, according to cops.